6 Days of shuttles. We meet you at your car each day. Apollo Bay to 12 Apostles Approx 100km. Starts Mondays. Six Days of shuttles to complete the Great Ocean Walk as listed below, starting on Mondays. This is a Self Guided Walk of 100 km, utilising your own car. Leave your car in Apollo Bay. 1pm Please meet at the v-line bus stop outside the Apollo Bay Information Centre. You walk back to your car in Apollo Bay. Leave your car at Parker Hill Campground car park. The car park area is just before you enter the camping and toilet area. 9.30am Bus transfer to Shelly Beach. ETA Shelly Beach 10am. You walk back to your car. Leave your car at Aire River, western side of the bridge near the toilets. 8.40am Bus transfer to Parker Hill Campground. ETA Parker Hill Campground 9.10am. You walk back to your car. Leave your car at Milanesia Gate (gate at dead end road). * If you wish to stop at 'Milanesia 3 ways' you can reduce this walk to approx 18km, as the remaining 2km is on a dirt road. Tell the driver on meeting if this is what you wish to do and follow him in your car to the 3 ways sign post (Hiders Access Road/Old Coach Road/Milanesia Road), leave your car there, and hop in the bus. 9.10am Bus transfer to Aire River. ETA Aire River 9.40am. You walk back to your car. 8.45am Bus transfer to The Gables. ETA The Gables 9.15am. You walk back to your car. we must depart at the prearranged times confirmed on booking. Please ensure you are at the meeting spots ready for your transfer. Refunds will not be given if you are not at the allocated meeting spots on time. (If you miss the bus, and would like us to come back and collect you later in the day, you will be quoted an additional fee of approx. $80 - $140 per shuttle (depending on your location & if we have availability). Please plan your driving times the evening before you walk and leave enough time to travel to the meeting spots. 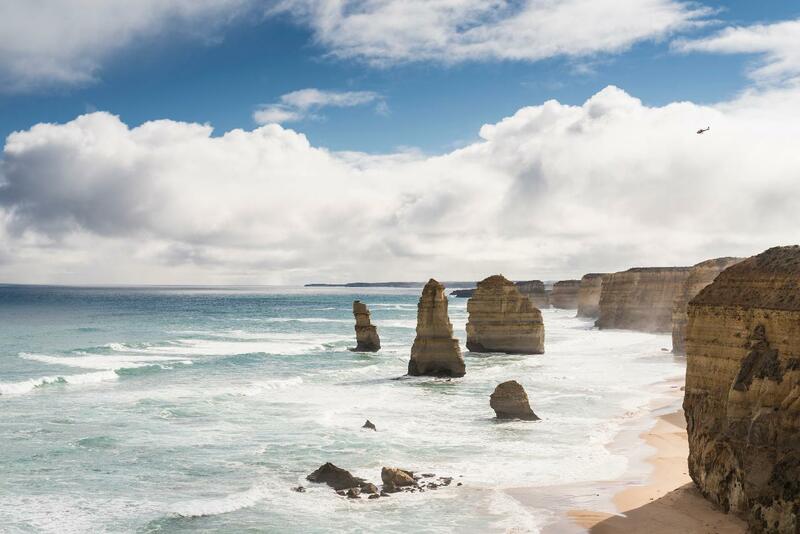 Allow time for slow traffic, especially at peak times of year along the Great Ocean Road. GOR shuttle take no responsibility for your car / damages / leaving it unattended at any time. GOR shuttle recommend that you prepare/ train for the walk (it can be difficult if you are not fit). Only book this bus service if you are confident that you are walking within your means. This is a self-guided unassisted walk and GOR shuttle provide the shuttles for the suggested itinerary listed above only.